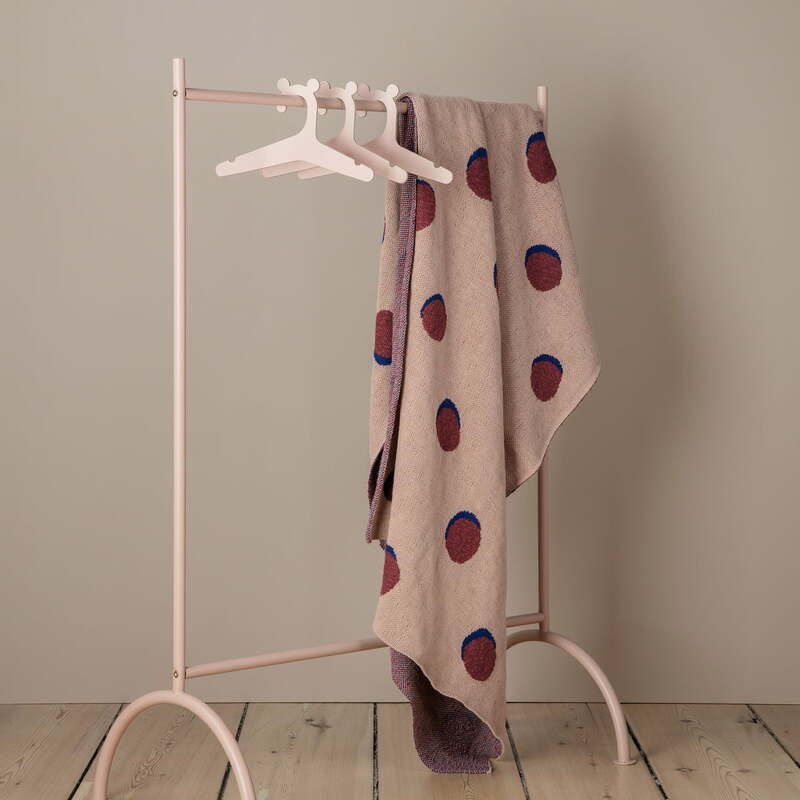 The clothes rack in powder-coated steel by ferm Living for the children's bedroom offers space for jackets, costumes, sports clothes, and much more. Thanks to the muted colours, the rack has an unobtrusive presence. Equipped with hangers or hooks, there is no more excuses to leave clothes lying on the floor; The children's room can be kept tidy and children learn to hang their jackets etc. on a hanger, once they get home. Supported by two legs, the stand is stable and creates plenty of space for clothes thanks to the rail measuring almost 90 cm long. There is also ample room for shoes or boxes full of toys underneath the clothes stand. This helps to get more out of the available space in the kids bedroom. The rack is made of powder-coated metal and is available in various colours. Isolated product image of the kids clothes stand by ferm living in the colour grey. 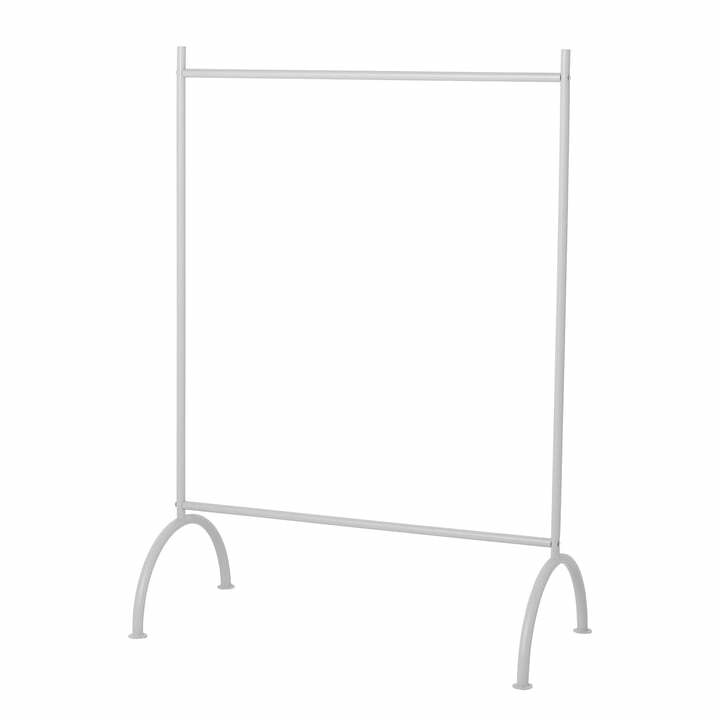 The practical clothes stand is made from powder-coated steel and is ideal to keep the kids bedroom tidy. 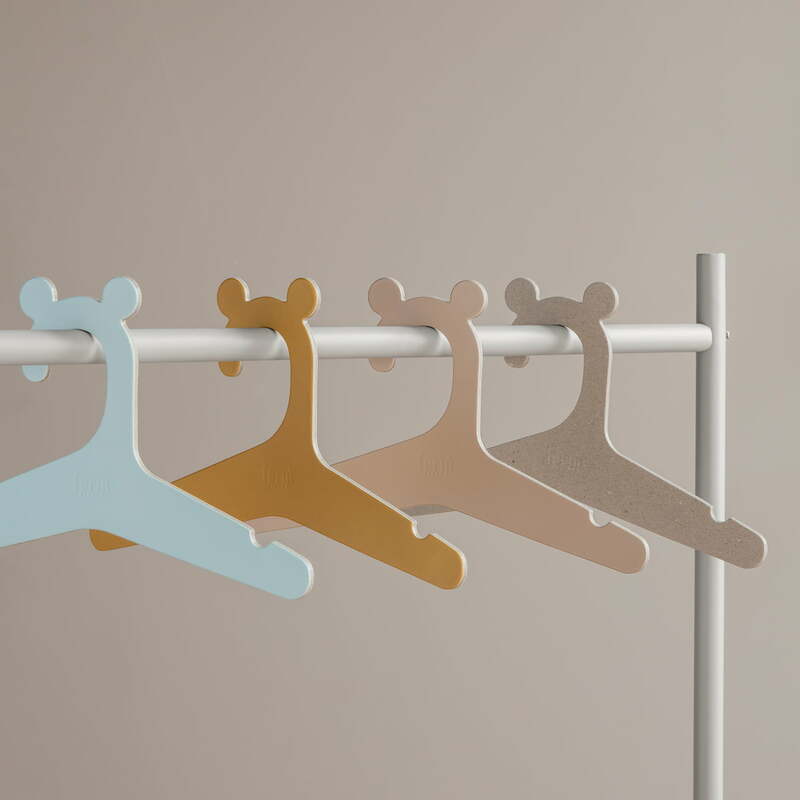 Lifestyle product image of the kids coat hangers by ferm Living: Equipped with clothes hangers or hooks, there is no more excuses to leave clothes lying on the floor. 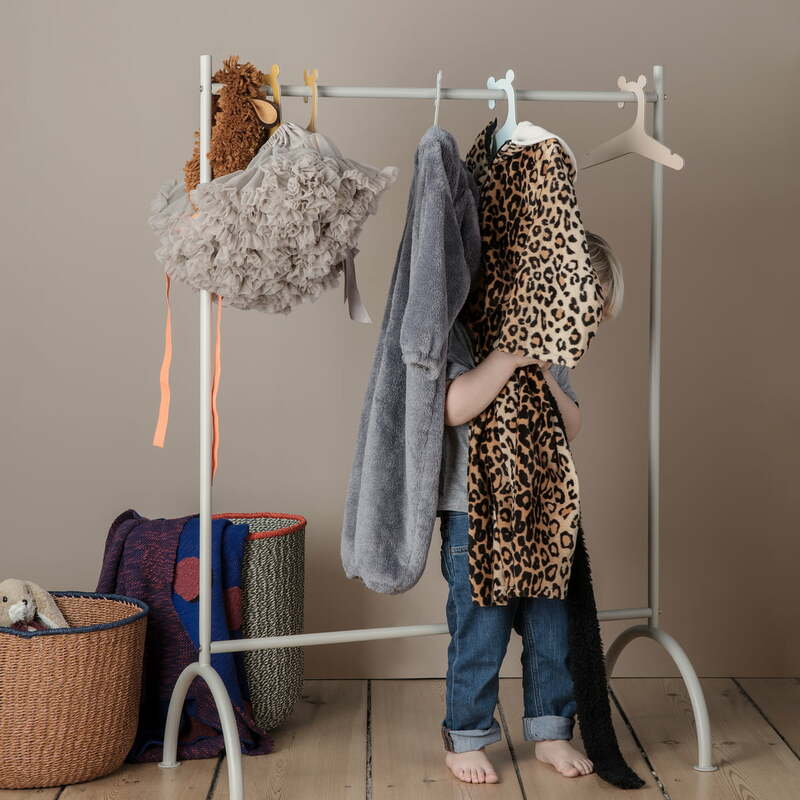 The clothes rack in powder-coated steel by ferm Living for the children's bedroom offers space for jackets, costumes, sports clothes, and much more. Thanks to the muted colours, the rack has an unobtrusive presence. Detailed product image of the kids clothes rack by ferm Living. Available in various colours, the kids clothes stand is a great addition to children’s bedrooms.